If you’re reading this, chances are you might have met with some form of failure. I know it burns. I know it stings. I know that if given a chance, you’d rather not deal with it and focus more on enjoying the benefits of success. Who wouldn’t? That’s how most people would respond but understand that failure is not what you think it is. Most people believe failure usually holds them back from achieving success. Successful people think differently. They understand that failure can help them succeed. They were more motivated by gain than intimidated by fear. What does this mean? First, failure means pain. It is difficult since there’s pain there. It can be physical pain which is fairly rare but possible but usually, it is a mental and emotional pain. There’s nothing more painful than thinking you’ve invested a tremendous amount of time, effort, emotional energy, focus, and willpower on something that didn’t pan out. There’s also social pain because people knew you were working on something and then now you have nothing to show for it. You feel like a fool. It may not be pointing fingers at you but it doesn’t make the pain go away because we want to impress people we love and respect. Failure means pain and instead of running away from that reality, successful people understand that this means one thing and one thing alone. Since failure can be painful on so many levels, this means they have to work on the project with the urgency it deserves. This is not playtime. This is not a joke. It’s not a hobby. It’s not something you do just because you have nothing else better to do. It’s real. It demands respect and focus. Successful people acknowledge it will involve the pain. This is why before they jump in, they get a full understanding of the risks and consequences involved. They don’t shy away from these. They don’t disregard the risk of bankruptcy. They don’t brush the possibility of fiascoes under the rug. They look at them straight in the eye. They see that monster. They acknowledge it for what it is and then they look at what they stand to gain. Then, there’s this calculated risk that comes out of it. It’s the pain that keeps them honest. It’s the prospect of losing that keeps their attention focused. This is how you make failure work for you instead of wasting all this tremendous amount of time, effort, and emotional energy by running away from it, making excuses for it, ducking it, and so on, and so forth. You understand that failure means pain, and this triggers you to step your game up. Use the pain of failure to motivate you. Get the motivation you need to stay focused long enough to achieve victory. Victory will not happen tomorrow. Victory requires putting in the work, focus, and sacrifice day after day, week after week, month after month, and year after year. 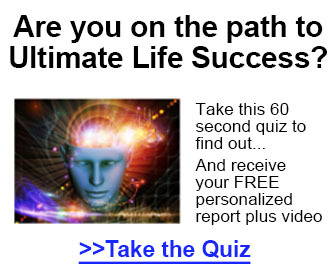 Would you like to learn more on how to reprogram your mind for success? Grab a copy of my ebook I’ve created to help with reprogramming your mind for a successful life. This entry was posted in EDUCATIONAL LIBRARY, INTERNET MARKETING GUIDES, LAW OF ATTRACTION, Law Of Attraction For Success, manifest, MEDITATION, MOTIVATION, Uncategorized and tagged become a money magnet, Education, failure, how to become a money magnet, law of attraction, law of attraction for success, manifest abundance, manifest your life, meditation, mindset training, raise your vibration, self love, success, successful living by Jay Hinson. Bookmark the permalink.